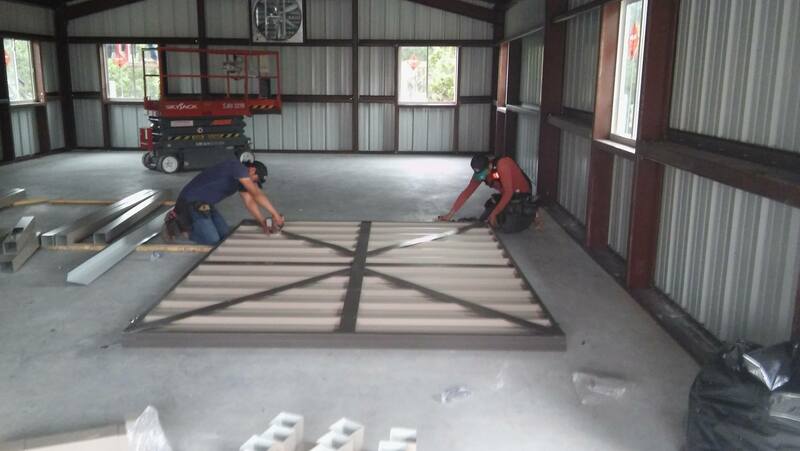 This metal door was custom designed and fabricated by Eric for the metal building at Baker Sanctuary, Travis Audubon. 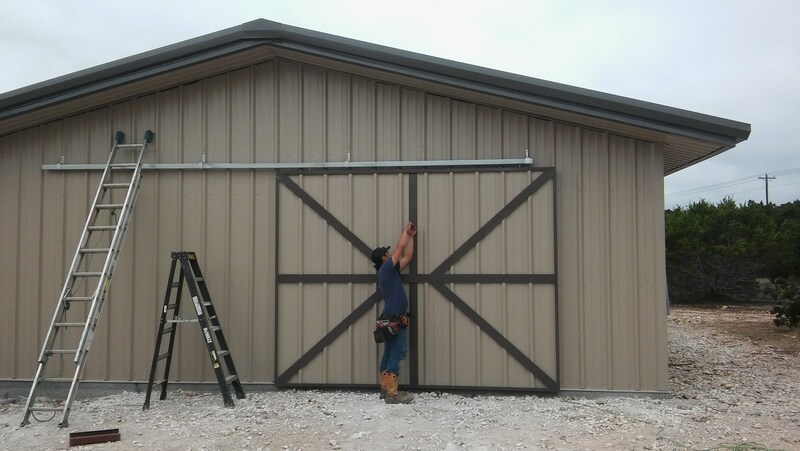 The door is 8′ x 10′ with custom 4″ trim. 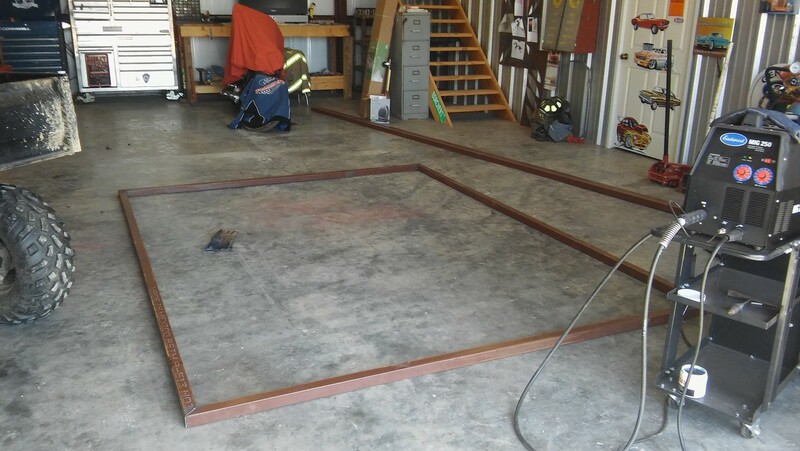 A 2″ x 2″ metal frame was fabricated at the Simply Metal Structures shop in McMahan, Texas. The door is sheeted with 26 gauge R panel, and has custom 2.5″ rollers and a 10 gauge track. It took four grown men and two boys to lift this door into place. It does not rattle and it does not leak, but it rolls like a dream.